Dow Consumer Solution - Specialty Silicone Fluid liquid engineered to meet the demand of a dielectric coolant for transformers with good high-temperature properties, low toxicity, and flammability. DOW CORNING 210H Fluid has improved oxygen stability. In the presence of oxygen or air, DOW CORNING 210H Fluid has a greater resistance to high temperatures. XIAMETER® OFX-0203 Fluid is a release agent that in most cases provides a heat-stable film that does not carbonize at temperatures that quickly destroy many organic mold release agents. 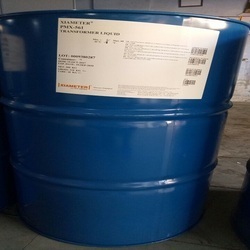 XIAMETER methyl hydrogen silicone fluids (polymethyl hydrogen siloxanes) are reactive fluids that can be mixed with other materials to create products for many different uses. Cooling and insulating liquid for transformers and other electrical equipment. Looking for Dow Consumer Solution - Specialty Silicone Fluid ?